Machining the impossible? Better use a coat. 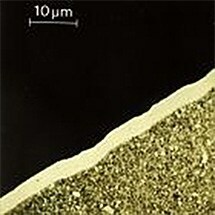 these low-friction coatings are extremely wear-resistant and chemically inert. The optimum coating is determined on the basis of both conditions of use and economic considerations. Newly formulated, special high-performance coating for high speed machining. GMX-35 performance surpasses all conventional coatings. This universal high-performance coating is especially designed for milling and drilling. Also suitable for dry machining. Introducing a revolutionary, newly formulated, PVD coating process. GMS² marks a breakthrough in PVD deposition technology. The performance and hardness stem from the coating’s unique structure. 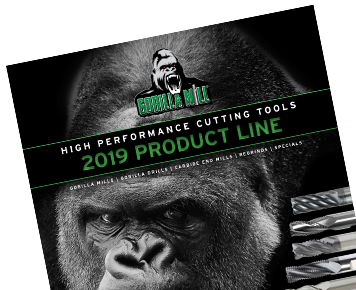 GMS² is specifically designed to punish high temp alloys and is stock standard on the new Gorilla Mill Phenoms. Introducing a revolutionary, newly formulated, PVD coating process. This process marks a breakthrough in PVD deposition technology. The performance and hardness of GDX-59 greatly Increases tool life in drilling applications.